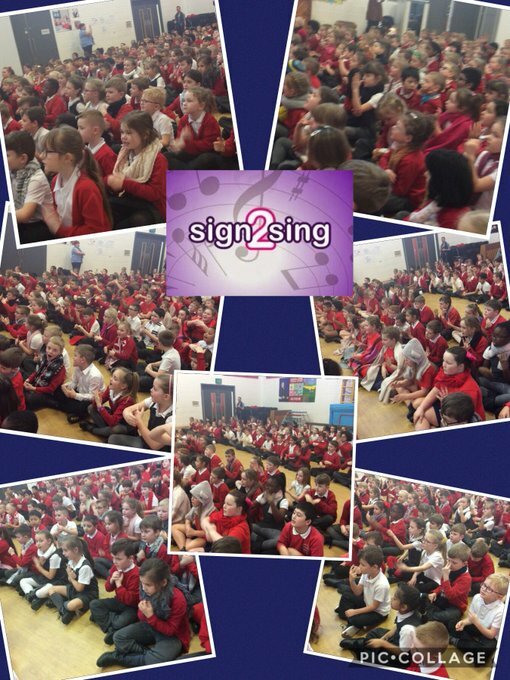 Over the last two weeks, as I am sure that you know, the children have been working hard to learn the BSL signs for the Take That song ‘Greatest Day’ so that we could take part in Sign2 Sing. What a fantastic job the children have done; they have blown us away woth the amazing effort they put into this. We managed to raise £140.81 for the Sign Health charity which works to improve the health and wellbeing of prople who are deaf: Thank you so much for your generosity.